You'll be £10.50 closer to your next £10.00 credit when you purchase Sedan 1870. What's this? The Franco-Prussian War was a turning point in the history of nineteenth-century Europe, and the Battle of Sedan was the pivotal event in that war. For the Germans their overwhelming victory symbolized the birth of their nation, forged in steel and tempered in the blood of the common enemy. For the French it was a defeat more complete and humiliating than Waterloo. Douglas Fermer's fresh study of this traumatic moment in European history reconsiders how the mutual fear and insecurity of two rival nations tempted their governments to seek a solution to domestic tensions by waging war against each other. His compelling narrative shows how war came about, and how the dramatic campaign of summer 1870 culminated in a momentous clash of arms at Sedan. He gives fascinating insights into the personalities and aims of the politicians and generals involved, but focuses too on the experiences of ordinary soldiers and civilians. Fermer is an eminently readable author and his books well worth the investment. Sedan 1870, is an excellent study in hubris and hunger, doctrine and professionalism and the underlying motivation that drives troops, regardless of the quality of their leadership, to astonishing levels of self-sacrifice. The Franco-German War 1870-1871 was a turning point in the history of 19th century Europe and the battle of Sedan (1st September 1871) was the pivotal event in the conflict. For the Germans, their overwhelming victory symbolised the birth of their nation. For the French it was a defeat more complete and humiliating than Waterloo. The author considers how the mutual fear and insecurity of two rival nations tempted their governments to seek a solution to domestic tensions by waging war against each other. He shows how war came about and how the campaign of the summer of 1870 culminated in the fighting at Sedan. The author also provides insights into the personalities and aims of the politicians and generals involved, but also focuses on the experiences of the ordinary soldiers and civilians. The text is supported by 30 monochrome illustrations, 10 maps, the orders of battle for the two sides, text notes and an index. A good summary of the first part of the war. 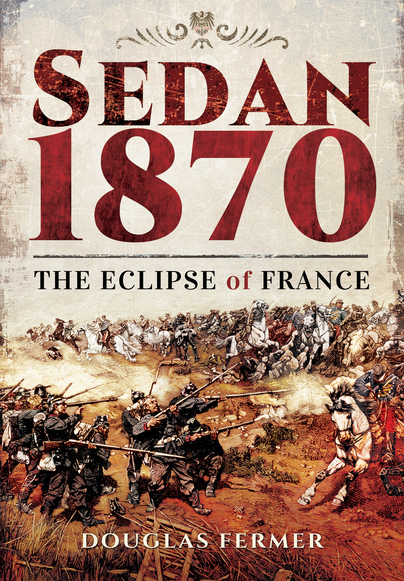 Anyone interested in the full background of the Franco-German rivalry that marked the period of 1870 to 1945 will find Sedan 1870 a must-read. Written for military history enthusiasts and general readers, this volume provides detailed portraits of the leaders (Bismarck, Wilhelm I, Napoleon III) and shows their reluctance to enter the battle until all diplomatic avenues were exhausted. The author also includes maps and illustrations to chart the military preparations as well as the actual campaign movements. Fine study of the Franco-Prussian War of 1870-71, which takes the reader as far as the Battle of Sedan.